Most Arabic food is based on cooking vegetables with rice and meat. 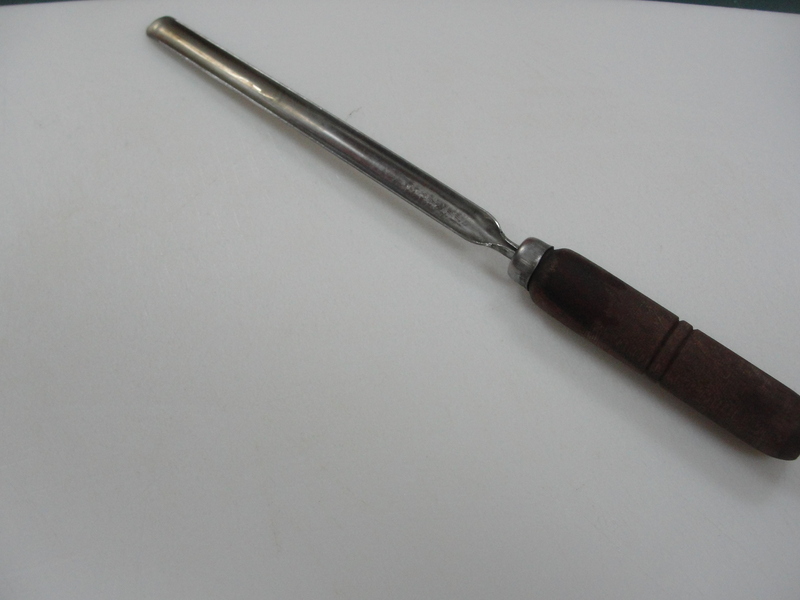 One of the essential tools in the Arabic Kitchen is the hollower. I always carry mine with me wherever I go because it is hard to find other than in the Levant. Here’s a recipe to another delicious meal prepared by the hollower. 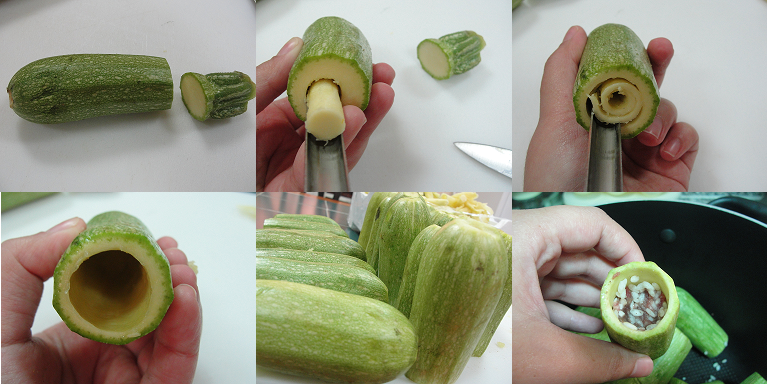 Cut the stem of the zucchini; hollow and remove the guts of it. Put rice and ground beef in a pot, adding salt and ground pepper. Melt the butter and add it to the pot with rice and ground beef, mixing all together. Take the zucchini and stuff them with the rice and beef mixture, making sure that you only stuff 2/3 of the zucchini so it does not come out during cooking. 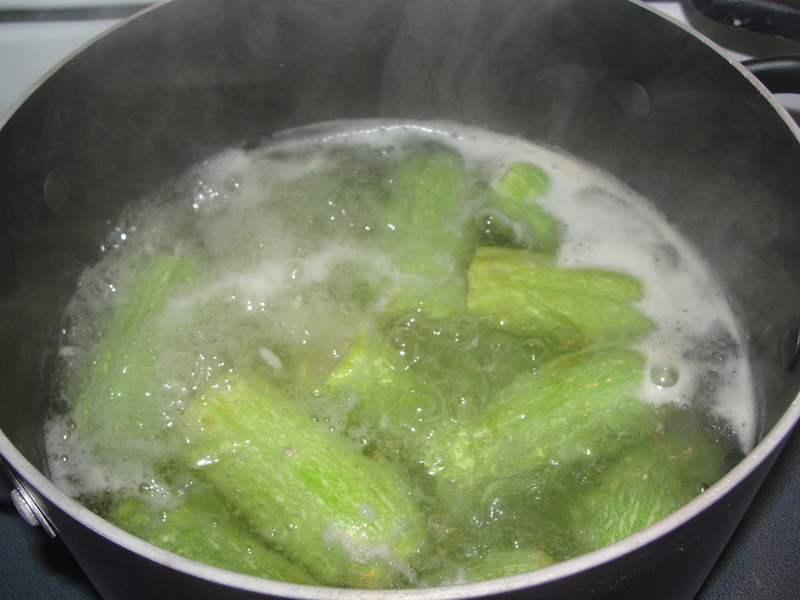 Using a large pot, boil the stuffed zucchini in water, skimming the froth as it appears. Let it boil for about 15 minutes. 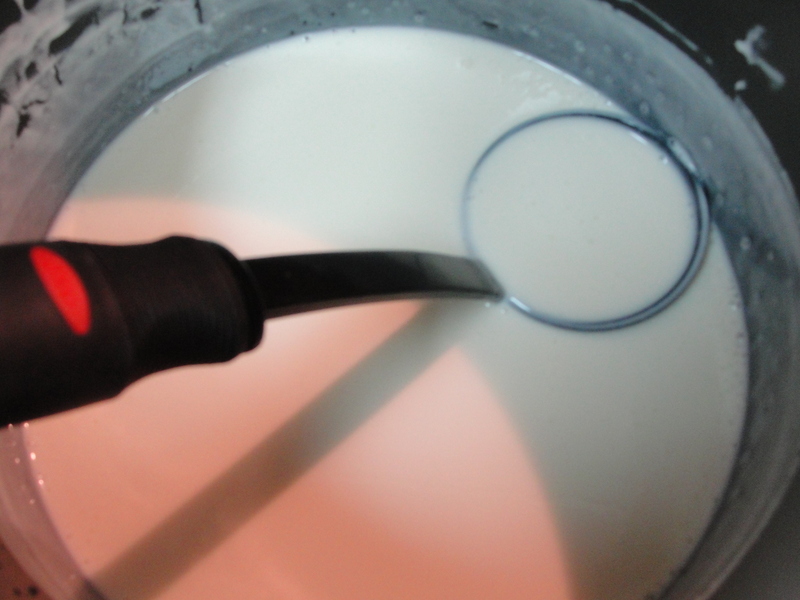 Meanwhile, using a cooking pot pour the yogurt in it and mix it well with one egg and bring to a boil with constant stirring. 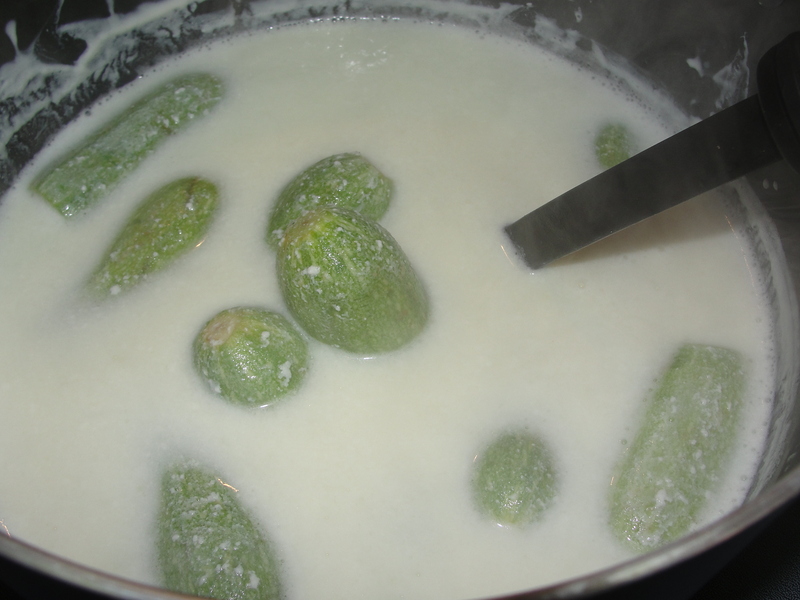 When the yogurt starts to boil, add the stuffed zucchini and hot water to the yogurt and cook it on a low flame for about 45 minutes. A few minutes before it is done, use a sauce pan to heat one tablespoon of vegetable oil. 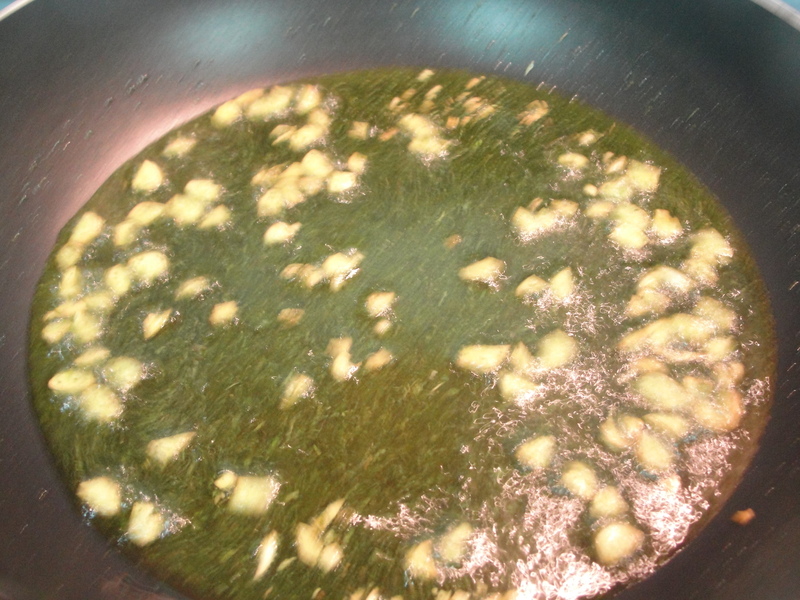 Add the ground mint and the diced garlic to the vegetable oil and stir until the garlic is light brown. 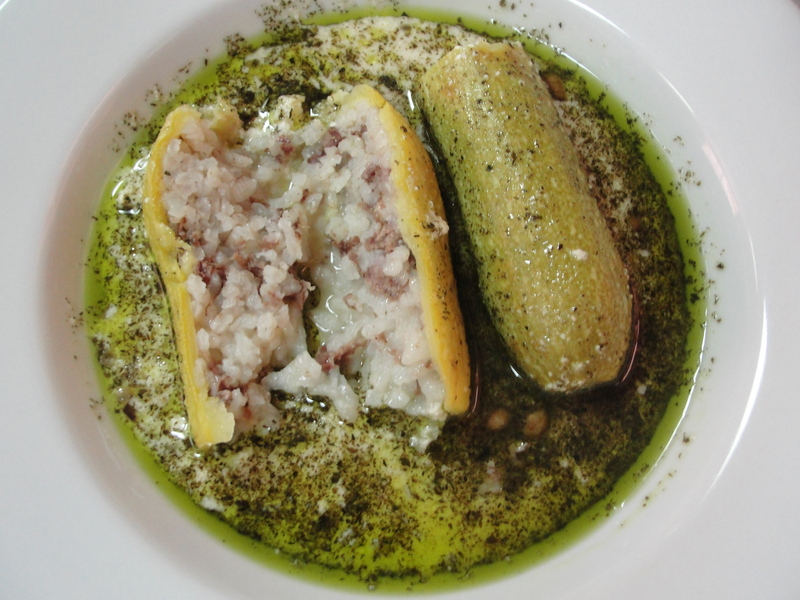 When the stuffed zucchini is cooked after 45 minutes, turn off the flame and flavor it with garlic, mint and vegetable oil. Let it sit for one minute then serve it. This entry was posted in Meat, Stuffed Vegetables, Vegetables and tagged Arabic, Gluten Free, Meat, Stuffed Vegetables, Vegetables, Zucchini. Bookmark the permalink.